Camden Council has opened a consultation on the draft planning framework which includes intensive work from Kentish Town Neighbourhood Forum on the Regis Road site and part of Murphy’s land. Both areas formed a core part of the adopted plan, and several members of the KTNF were on the working party with members of the Dartmouth Park Neighbourhood Forum (whose boundary covers the other part of Murphy’s) and several Camden Council planners. The group held several meetings developing plans and strategies which built upon the original plans and the first set of consultations earlier in the year. Public consultation on the draft framework is now open and will run until 7 December 2018. The consultation is open to local residents, businesses, landowners, workers, community groups, and everyone else who has an interest in the area. Camden Council and the group will analyse the responses and finesse the document and there is likely to be a further more limited stage of consultation in 2019 before the Council adopts the final framework as a Supplementary Planning Document. Public open sessions where you can talk to members of the team are at Kentish Town Library, 262-266 Kentish Town Road, London NW5 2AA on Thursday 8 November 1 to 4pm and Tuesday 20 November 5 to 8pm. KTNF now has a working group that is obtaining evidence required to support the nomination of a pub as an ACV. And we need your help and support in this. The KTNF committee thanks those of you who responded to our recent email asking for support to implement our policy to protect pubs in our area. As part of this exercise it would be very helpful to receive information from you, so do please respond to the questions in this email. Our intention is to nominate all the pubs listed in the Neighbourhood Plan at the same time. A short explanation of what it means to the community for a pub to be an ACV might help before you answer the questions. If a pub in Kentish Town is successfully nominated as an ACV it is, by its very definition, considered by Camden Council to be valued by the community. 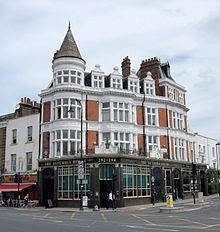 In addition to imposing a 6 month moratorium on a disposal to enable the community to put a bid together (unlikely in Kentish Town because of high property prices) or find another pub operator, ACV registration is a ‘material consideration’ when the Council considers an application for a change of use from a pub. 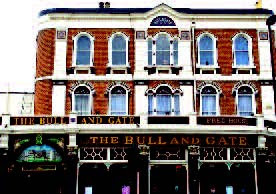 The pubs are The Junction Tavern, The Vine, The Pineapple, The Bull & Gate, The Assembly House, The Oxford Tavern, The Lion and Unicorn, Camden’s Daughter, The Abbey Tavern, The George IV, The Grafton, Quinns, Leighton Arms, The Unicorn and the Rose & Crown. Which of the pubs listed above are you familiar with? Have you taken part in, or noticed, any community events in the pub? For example: weddings, wakes, meetings, quiz nights, music nights, snooker, pool, film nights, sports on TV etc? If yes, please list the event, approximate date(s) and frequency. Is there a room in the pub available for community use / meetings etc? If yes, does the pub charge a fee for these uses? I look forward to receiving your response to rwinf25@gmail.com , by Sunday 5th August please so we have the information in good time for our next working group meeting on 8th August. Kentish Town Neighbourhood Forum has been re-designated until 9 June 2023 by Camden Council. KTNF applied for and was granted designation as a neighbourhood forum in April 2013. This designation runs for five years. An application was put in in February this year. KTNF ran a consultation between May and June 2018 asking members for their views on the KTNF making ACV applications on behalf of pubs in its area. The Kentish Town Neighbourhood Plan (NP) contains a policy for the protection of pubs in which KTNF “recommends that all the public houses listed here [see below] are placed on the register of Assets of Community Value” at Camden Council. KTNF is a qualified body for making an ACV application and 15 pubs are listed. The effect of a listing is to prevent a disposal for 6 months so as to give the community an opportunity to put together a bid for the pub. For a pub to qualify as an ACV it must be shown to further the “social well-being or social interests of the local community”. Positive responses were received and a working group has been formed. Over several months this year, KTNF has taken part in Camden Council’s Kentish Town Planning Framework Consultation. The Planning Framework outlines the principles by which development takes place. Members of the KTNF and Dartmouth Park Neighbourhood Forum, along with Camden Council planners have attended three workshops, and a walkabout and input ideas on issues such as future housing and green space in the development areas. Camden Council planners are assembling the ideas and a public consultation is set to be released in the autumn. Planters along Kentish Town Road? KTNF is involved in the planter project for Kentish Town Road. Several areas of the Kentish Town Plan refer to biodiversity and green space (GO1, GO2, GO3) and Green Gateways Project. Other local groups such as Kentish Town Road Action, Transition Kentish Town and Camden Air Action have been pushing for planters – some for over five years. And KTNF co-ordinated the efforts into a report and maps. Following the successful Cottage Garden project organised by the KTNF on Kentish Town Overground station last year, proposal documents were sent to Camden Council. After consultation between Camden departments and the completion of the first Planning Framework consultation, Camden Council is currently working on proposals. KTNF is actively engaged in consulting and meeting with interested parties on the above sites. KTNF welcomes Joanna Chow to the committee.